Liverpool defender Mamadou Sakho has signed a new five-year contract with the Premier League club. The 25-year-old Frenchman has made 47 appearances for the Reds since joining for £18m from Paris St-Germain in 2013. He has not featured in the league this season but was captain for Thursday's 1-1 Europa League draw with Bordeaux. 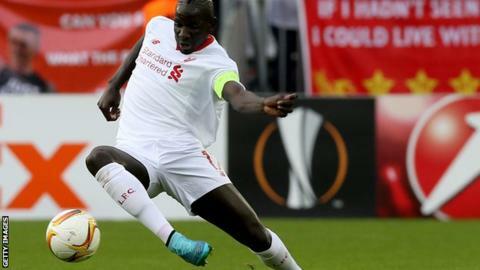 "I will keep working because I am a Liverpool soldier and when Liverpool need me, I try to give my best," Sakho told the Liverpool website.